Padderbury is a small hill-fort in south-east Cornwall, less than a mile north of the A38 (Liskeard-Saltash) road. It forms a prominent sky-line feature and itself commands superb views over the surrounding countryside. 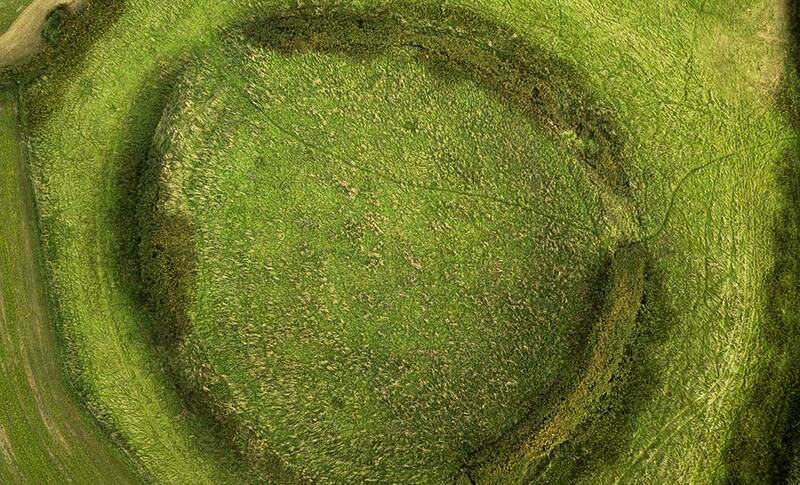 Although the fort now appears to consist of two ramparts – the inner circle a steep out-facing scarp, the outer a low plough smoothed bank – air photos reveal a far more complex monument. Cropmarks visible on Cambridge air photos show a number of banks and ditches surrounding the inner bank. On the north-west side there is a total of four banks and four ditches, and on the east side three banks and three ditches. The location of the entrance is not obvious, but may be on the east. Although the whole monument, apart from the inner rampart, has been ploughed in the past, Padderbury Fort has been under pasture for nearly twenty years now and generally is in excellent condition, with a good grass cover and longer grass, brambles and gorse on the steep inner scarp only. The main erosion problems are rabbit activity and, closely associated with this, the erosion by sheep of long terraces in the top of the inner rampart. Summary: Small, bivallate, contour hillfort sited on summit of prominent Padderbury Top hill. Complex defences in impressive position.Steep surrounding slopes, less so on SW. 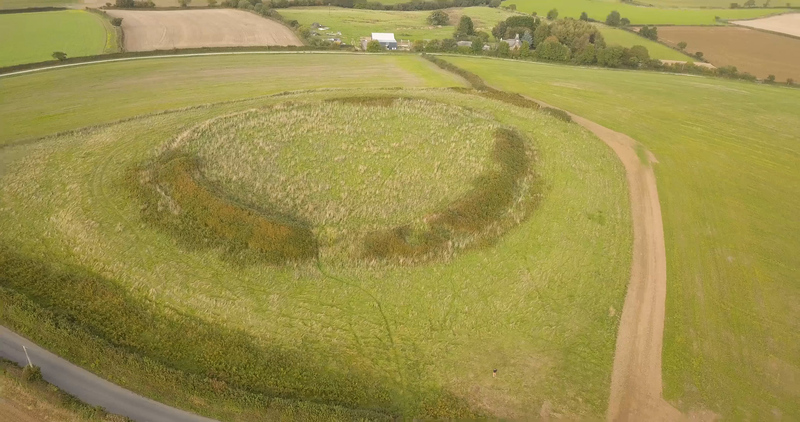 Roughly circular central enclosure has inner rampart bank to 9m wide and 3m high, enclosing 0.6ha. Concentrically surrounded by close-set second rampart now scarp to 1m high. Aerial photographs show originally up to four ramparts, one between the two visible ramparts and an outer bank with ditch. These, together with ditches associated with visible ramparts, buried features. E and W possible original entrances. Pasture interior, some scrub on banks.Plough damage. On 1st Ed. OS map (1882). Undated.